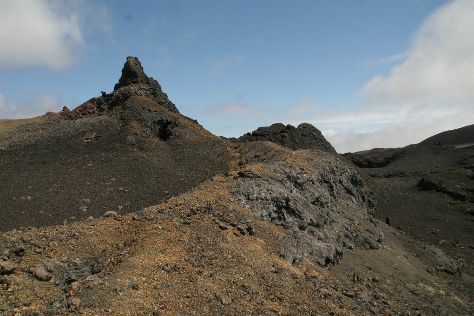 The second largest in the Galapagos archipelago, the island of Santa Cruz is actually a volcano dormant for more than a million years. 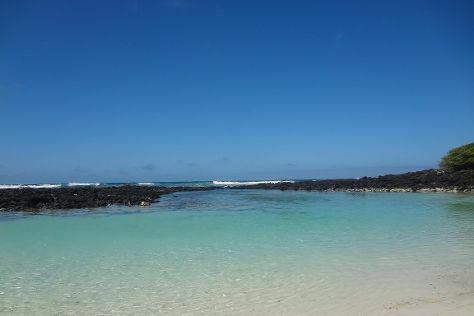 Escape the urban bustle at Galapagos Beach at Tortuga Bay and Charles Darwin Research Station. Your cultural itinerary includes sights like Galeria Aymara and Maki-Art Gallery. There's much more to do: explore the striking landscape at Las Grietas, look for all kinds of wild species at Reserva El Chato, kick back and relax at Playa de los Alemanes, and look for gifts at Darwin's Cotton. For ratings, maps, reviews, and more tourist information, use the Santa Cruz vacation builder. Ottawa, Canada to Santa Cruz is an approximately 27-hour flight. When traveling from Ottawa in May, plan for somewhat warmer days and warmer nights in Santa Cruz: temperatures range from 34°C by day to 28°C at night. Finish your sightseeing early on the 30th (Tue) so you can travel to Puerto Villamil. Step out of the city life by going to Sierra Negra and Tagus Cove. And it doesn't end there: look for all kinds of wild species at Concha de Perla, step off the mainland to explore Las Tintoreras, don't miss a visit to The Wall of Tears, and enjoy the sand and surf at Urbina Bay. For maps, other places to visit, ratings, and more tourist information, read Puerto Villamil trip itinerary maker. You can ride a ferry from Santa Cruz to Puerto Villamil in 3 hours. Traveling from Santa Cruz to Puerto Villamil, you'll gain 1 hour due to the time zone difference. Expect a daytime high around 34°C in May, and nighttime lows around 28°C. Wrap up your sightseeing on the 1st (Thu) to allow time to fly to Puerto Baquerizo Moreno. 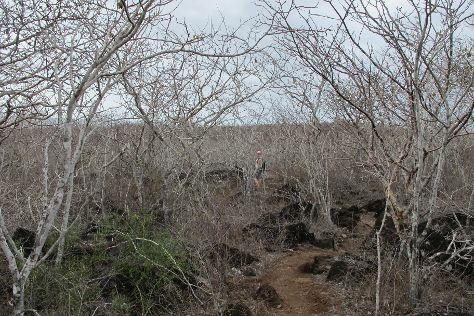 Escape the urban bustle at Cerro Tijeretas and Galapaguera de Cerro Colorado. There's much more to do: enjoy the sand and surf at La Loberia, stroll through Puerto Chino Beach, and browse the exhibits of Interpretation Center. To find other places to visit, more things to do, where to stay, and tourist information, read our Puerto Baquerizo Moreno itinerary maker. Fly from Puerto Villamil to Puerto Baquerizo Moreno in an hour. Alternatively, you can ride a ferry. The time zone difference when traveling from Puerto Villamil to Puerto Baquerizo Moreno is 1 hour. In June, daily temperatures in Puerto Baquerizo Moreno can reach 33°C, while at night they dip to 26°C. Finish your sightseeing early on the 5th (Mon) to allow enough time to travel to Guayaquil. On the 5th (Mon), wander the streets of Cerro Santa Ana, wander the streets of Las Penas, and then look for gifts at Ecua-Andino Hats. 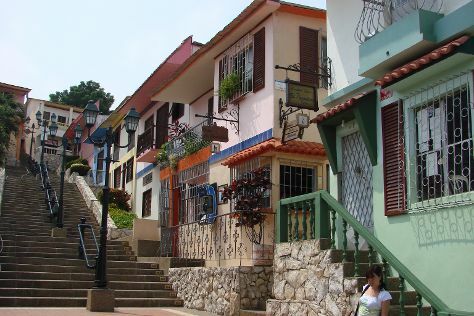 For more things to do, other places to visit, reviews, and more tourist information, read our Guayaquil itinerary maker. Getting from Puerto Baquerizo Moreno to Guayaquil by flight takes about 2 hours. In June, daytime highs in Guayaquil are 35°C, while nighttime lows are 26°C. Wrap up your sightseeing on the 5th (Mon) early enough to travel to Cuenca. Packed with impressive colonial architecture and a historic town center, Cuenca stands as perhaps the most charming city in the nation. 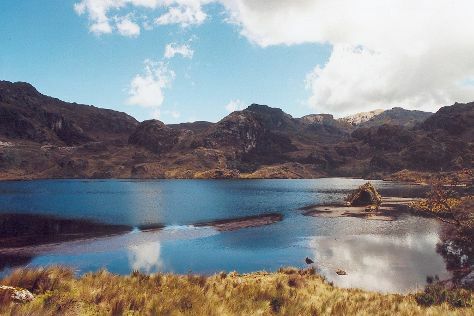 Kick off your visit on the 6th (Tue): explore the striking landscape of El Cajas National Park. On your second day here, pause for some serene contemplation at Mirador de Turi, contemplate in the serene atmosphere at Museo Catedral Vieja, and then admire the landmark architecture of Inmaculada Concepción Cathedral. To find where to stay, ratings, traveler tips, and other tourist information, read Cuenca holiday planner. Traveling by flight from Guayaquil to Cuenca takes an hour. Alternatively, you can drive; or take a bus. When traveling from Guayaquil in June, plan for little chillier days in Cuenca, with highs around 23°C, while nights are colder with lows around 13°C. Wrap up your sightseeing on the 7th (Wed) to allow time to travel to Quito. Kick off your visit on the 8th (Thu): make a trip to Plaza de la Independencia (Plaza Grande), admire all the interesting features of La Ronda, then admire the striking features of San Francisco Church (Iglesia de San Francisco), then take in the spiritual surroundings of Iglesia de La Compania de Jesus, and finally take in the spiritual surroundings of Basilica del Voto Nacional. Keep things going the next day: explore the world behind art at Guayasamin Museum, then examine the collection at La Capilla Del Hombre, then get to know the fascinating history of Quito Old Town, and finally contemplate in the serene atmosphere at Cathedral of Quito (La Catedral). For ratings, other places to visit, maps, and other tourist information, read our Quito itinerary maker. You can do a combination of flight and bus from Cuenca to Quito in 3.5 hours. Other options are to drive; or take a bus. In June, daytime highs in Quito are 24°C, while nighttime lows are 13°C. Wrap up your sightseeing on the 9th (Fri) to allow time to travel back home.